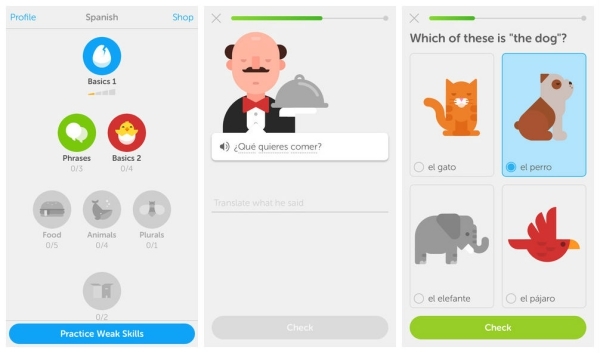 This is the most popular app for learning languages while playing. The idea is to increase your knowledge through different exercises shown as levels of each language you choose to learn. As you go through the levels, the difficulty increases. You may start with small words or phrases, and then proceed to reading comprehension, hearing skills and paragraphs. A free language app with tons of offline courses, Memrise gives you the opportunity to learn several languages through easy tasks. You can learn new words in groups or individually. You can also return to previous tasks in order to reevaluate yourself and check if you have learned the topic. Memrise has more than 150 languages for you to start practicing..
A free app developed to help people who need fast language learning in order to travel. 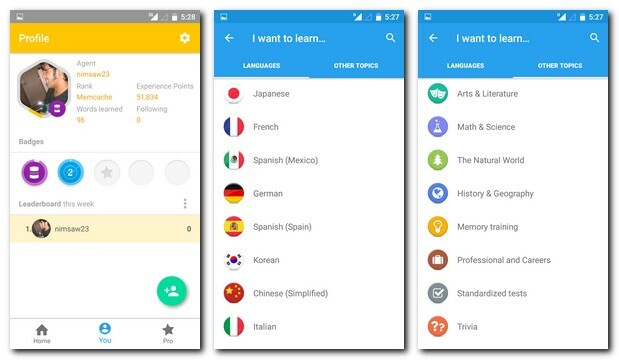 The apps is divided in different sections, such as a phrase book to learn common expressions, and a lessons section to increase your knowledge about each language. The app lets you go forward and backwards through the lessons in order to evaluate your progression. The free version of Babbel has 40 classes designed to help you learn more than 13 languages. You can learn by using different phrases and following the step-by-step vocabulary learning exercises. 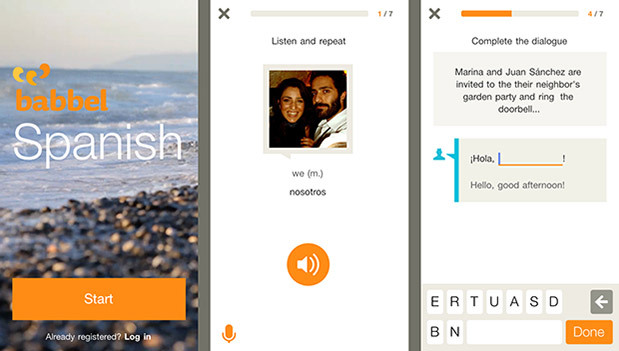 The app adjusts the phrases and sentences in order to create dialogues according to the level of each user. 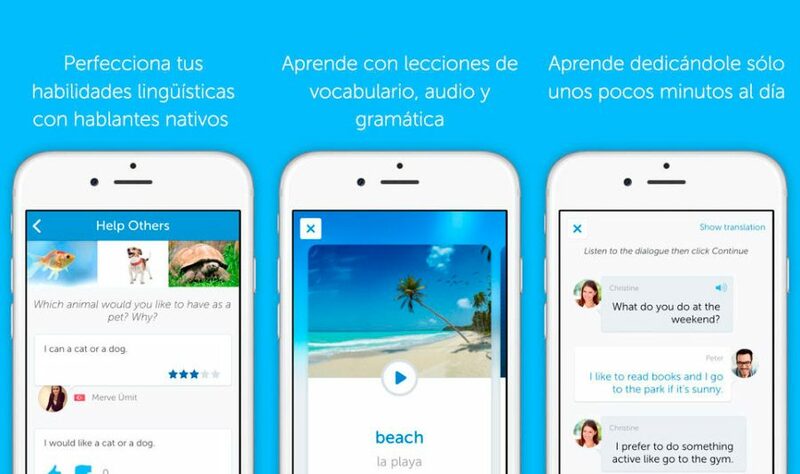 The app is full of audio and reading material to learn 12 different languages. The courses also include a “travel course” version, which you can use to learn the basics of each language for travelling goals. One of the most interesting features of Busuu is the possibility to interact with native speakers of each language. Practice your oral and writing skills and contribute to the app by correcting others examples of your native language too. This entry was posted in Applications and tagged Babbel, Busuu, Duolingo, iOS apps, Memrise by Juan Martínez (Google+). Bookmark the permalink.